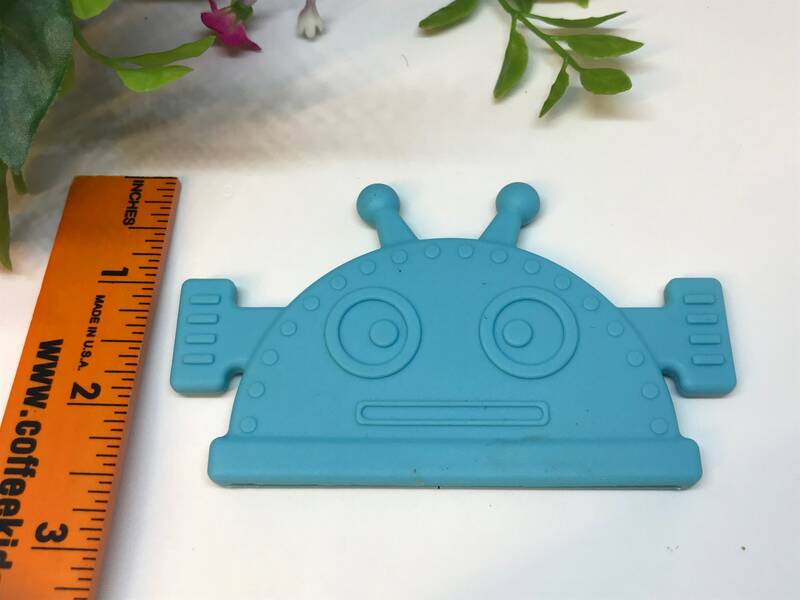 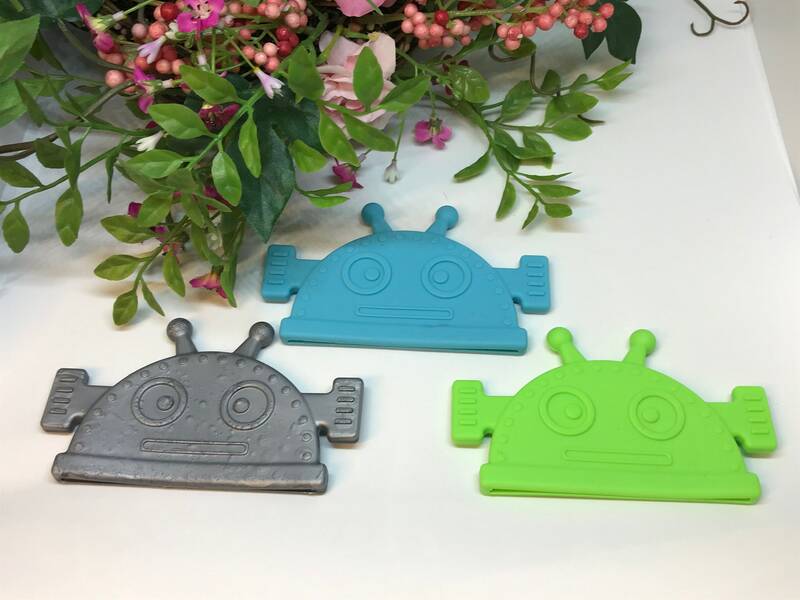 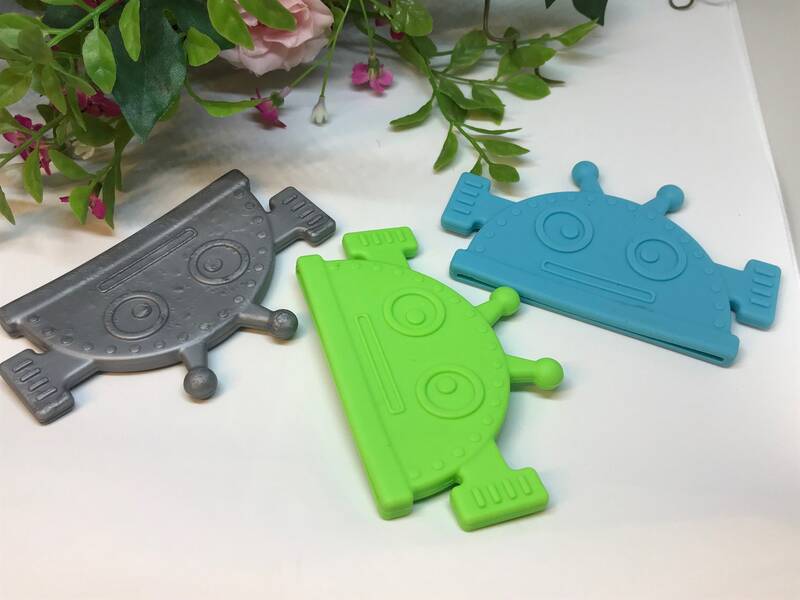 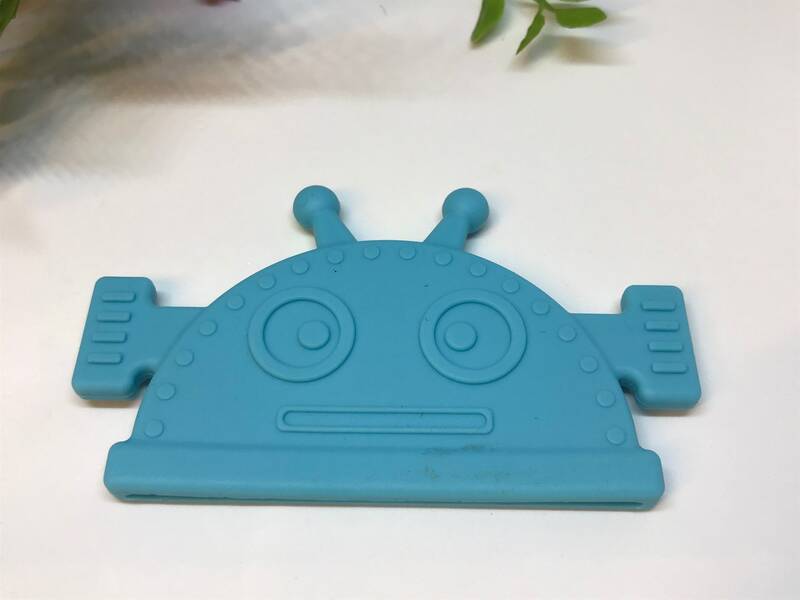 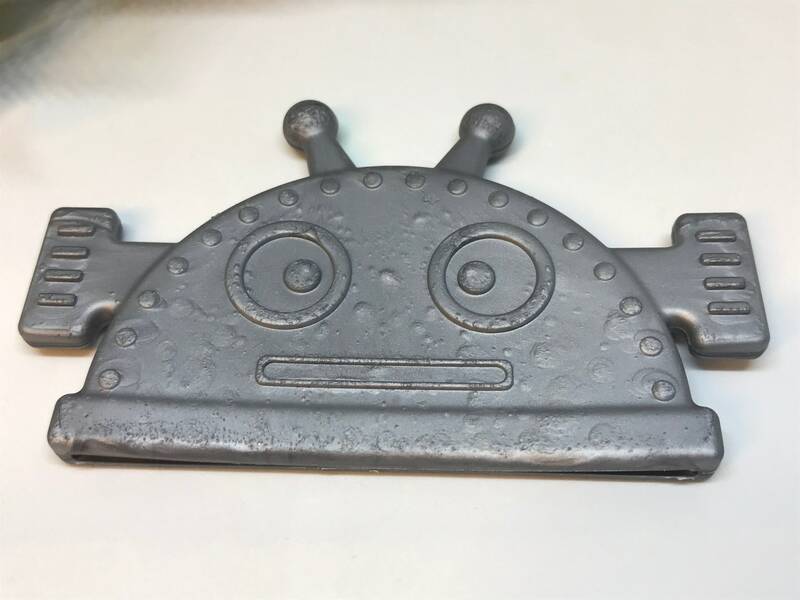 DESCRIPTION: Two sided silicone "robot" shaped teether for use in handmade baby and pet toys. 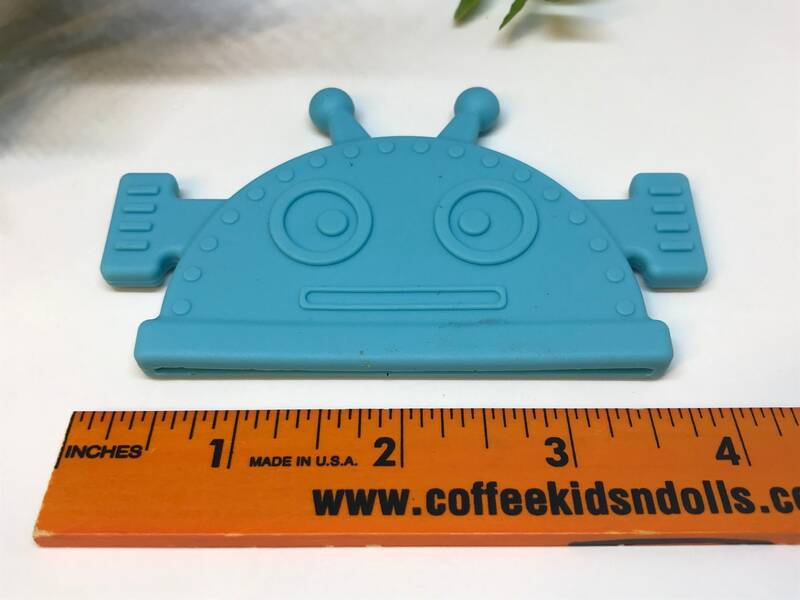 You can also either punch small holes with a tiny awl (I use the one I got with my KAM™ snaps) or by by manually turning the wheel of your machine as you push the teether through underneath the needle. 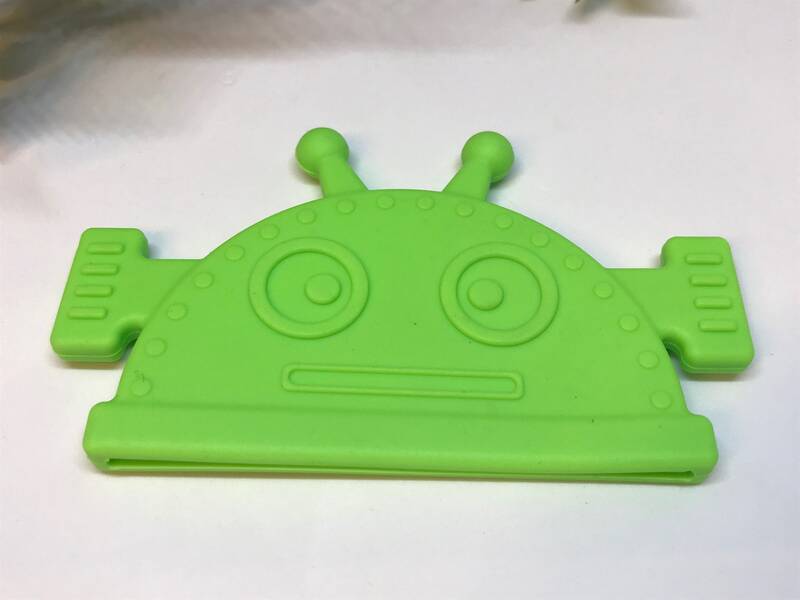 Then, simply use a good, sturdy needle and hand-sew with running stitches to sew on. 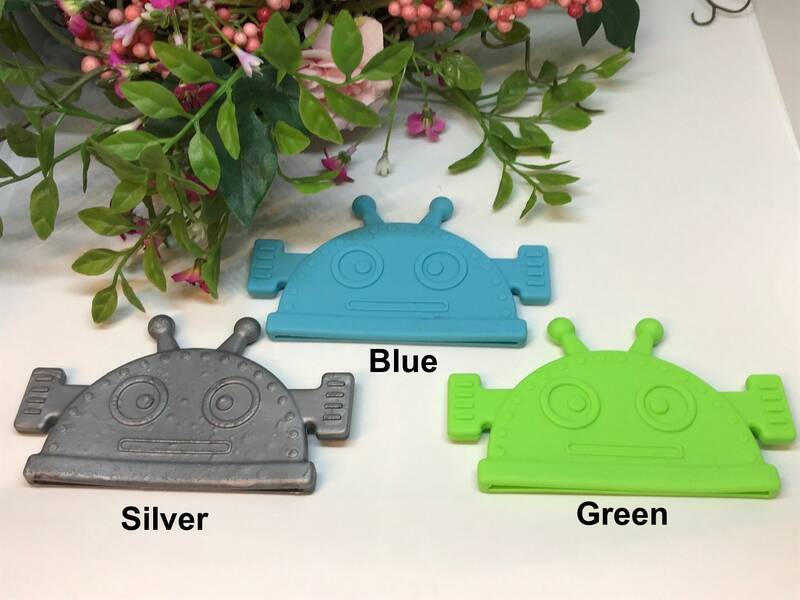 SAFETY: These corner teethers meet FDA and EN71 safety standards and are BPA free and is considered FOOD GRADE SILICONE.